For many, getting behind the handcrafted steering wheel of a luxury supercar is the most alluring experience conceivable. The smooth touch of Italian leather on the skin and the ferocious rev of a V12 engine is enough to seduce the most stoic of drivers. With dozens of the latest supercars in our fleet, Luxury & Services is delighted to offer our clients the opportunity to experience many of the most desirable supercars on the market. Of all the vehicles in our fleet, however, no supercar is more popular than the Ferrari 488 Spider – a unique machine with a thirst for adrenaline-inducing adventure. Get behind the wheel of the Ferrari 488 Spider and find out why this particular supercar is the most commonly rented in our vast fleet. The most poignant feature of this Italian maestro is its artistic exterior styling. It is little wonder that our clients favour the roads of Nice, Cannes, St Tropez and Monaco when renting the chic Ferrari 488 Spider; the iconic design of the sleek supercar is reflected in these fashionable destinations. The vehicle’s retractable hardtop is both functional and aesthetically pleasing, transforming the Ferrari from a slick beast to an instrument for fun. In a true Italian manner, each aspect of the 488’s design has been crafted with beauty in mind, from the new side air intakes to the short, muscular bonnet. Subtle creases enrich the supercar’s curvaceous design, while an aerodynamic body enhances the vehicle’s performance. What is the Ferrari 488 Spider Like to Drive? Upon entering the Ferrari 488’s cockpit, you’ll experience the same sensation as that experienced by F1 drivers. The luxury sports car’s interior was created to embellish the affinity between driver and car. The interior marries tradition with innovation, style and functionality. The 488’s engine is Ferrari’s best performing engine ever, with zero turbo lag and an addictive soundtrack. The vehicle accelerates to 60mph in just 3 seconds and has a top speed of 205mph. The feeling of cruising down Cannes’ Croisette or the Corniche roads between Nice and Monaco simply cannot be replicated in any other supercar. From Where Can I Rent the Ferrarri 488 Spider? Luxury & Services offers the Ferrari 488 Spider to rent throughout the South of France, Monaco, Italy, as well as most other European countries. We can deliver the vehicle to your location for your convenience. Whether on holiday with a loved one, attending a luxury event, or exploring on a weekend, the Ferrari 488 Spider is available to hire through Luxury & Services for any occasion. From luxury car rental in Geneva to chauffeur-driven car hire in Paris, Luxury & Services is on hand to meet your requests. 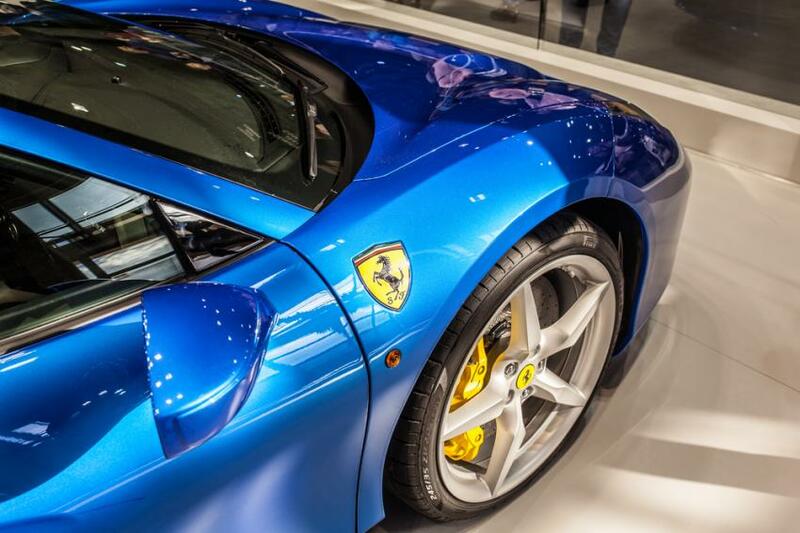 How Much Will the Ferrari 488 Spider Cost to Rent? This spectacular supercar can be rented through Luxury & Services from just €1,600 per day, with an included range of 300km. For more information about renting through Luxury & Services, please contact a member of our specialist team. We can advise you on the best vehicle for your requirements.